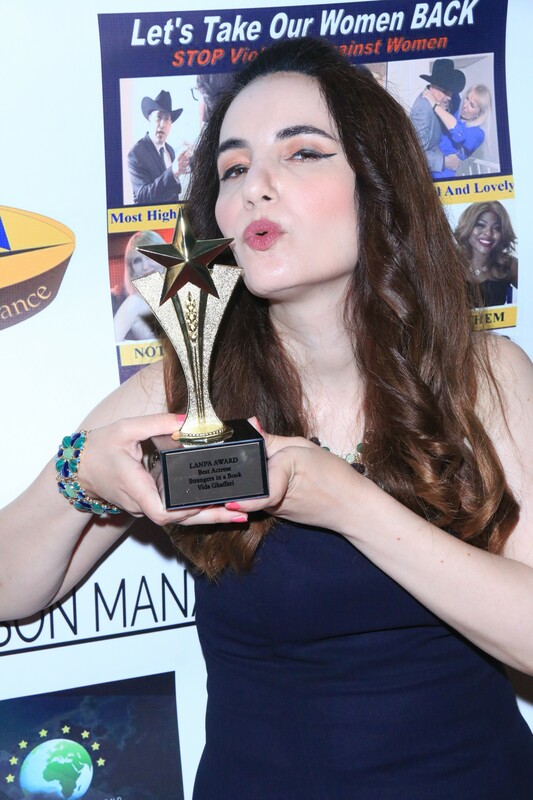 Los Angeles, CA , August 28, 2017	(Newswire.com) - ​​​​​​On Saturday, August 26th, the Los Angeles Nollywood Film Awards (LANFA) had their much anticipated film awards ceremony and music festival at 8039 S Vermont Ave in Los Angeles and screened an international slate of films. Numerous celebrities and VIPs were in attendance at this esteemed event such as LANFA founder King Bassey, Best Female Producer Elham Madani, Honorees Mel Novak (Bruce Lee’s Game of Death, Check Point) and Dawna Lee Heising (Bladerunner, Samurai Cop 2: Deadly Vengeance), Special Guest noted radio host and media personality Mother Love, HPC’s own Vida G. (The Mindy Project, Holy Terror) as a presenter and Co-host Ford Austin (Live By Night, Bosch). LANFA was created by King Bassey, who hails from Akwa Ibom, Nigeria. He has an associates degree in Electronic tech and micro computer from National Technical School and a Bachelors degree in Media Production at Intercontinental University Los Angeles. His concentration was in the area of directing, producing, editing, screenwriting and cinematography. 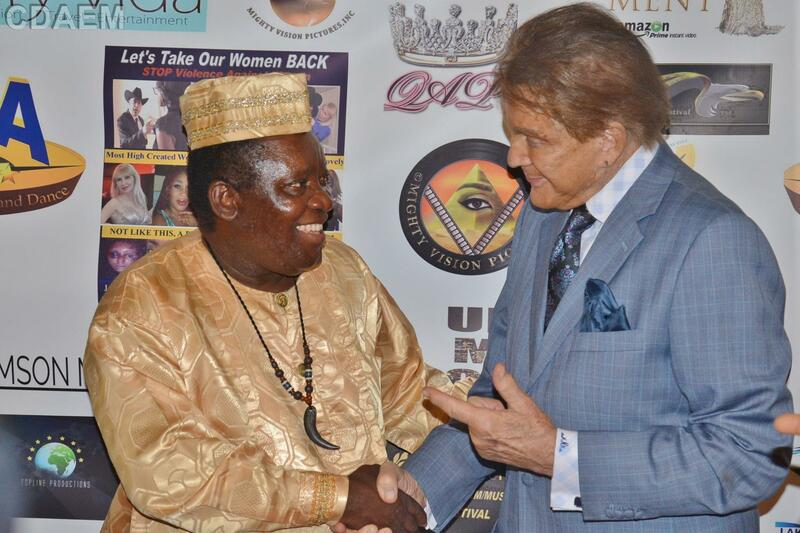 After looking at the negative image and portrayal of Africans on Television, King Bassey became one of the first to start Afrikan Network Television on UHF channel in the early 90s, bringing programs from Africa to educate people about Africa, it was even featured in LA Times. After many years the station could not make it because of funding, King Bassey did not give up, he embarked on a song writing career. 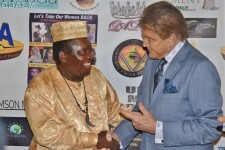 He has released about three albums, the most recent one, David Dance, and started organization called the Los Angeles Nollywood Film Association (LANFA). Lanfa’s goal is to provide a platform for our creative artists to produce and showcase the unique artistic abilities, increase the level of awareness in the community, promote the brand, strengthen and grow the credibility of the group. To also foster the creation of successful working partnerships, empower networking, raise visibility, and strengthen distribution and marketing channels. Every year, the festival screens Afrikan and other international films in August 24th -26th. He won several awards, best African singer and writer from the City of Los Angeles, Award for best Video Programming, Educational & Documentary, Media award for best photographer. He directed and produced his first films called Johno the Fake Producer, in 2007, his second film Undisciplined, about the way Parents raise their Children, and in 2010, he directed Queen In LA. Movie, About Human Trafficking. His latest film in the making now is called A Woman In A Man’s World, Multicultural Film creating awareness on Global Fight for violence against Women in work, Home and Church. starting campaign call LET’S GET OUR WOMEN BACK.